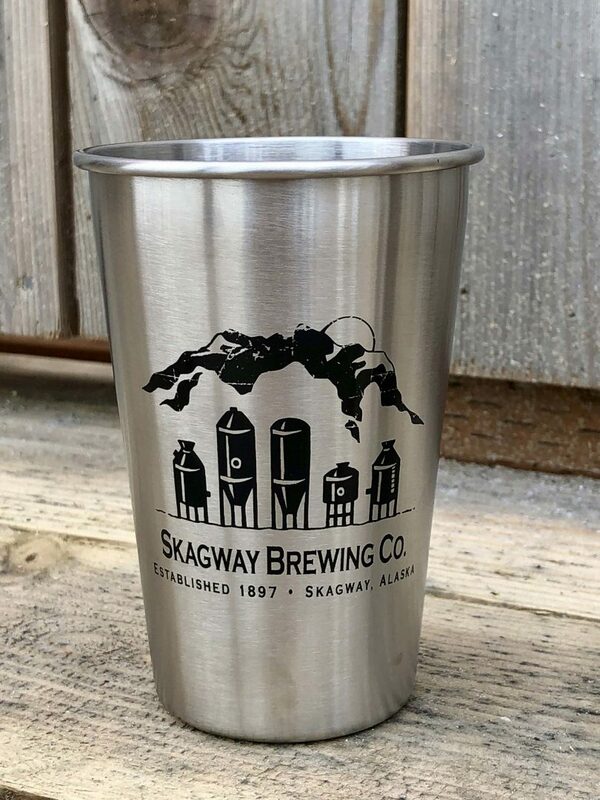 Stainless steel pint glass with Skagway Brewing Company logo. The Skagway Brewing Company strives to build and maintain a sustainable business by purchasing products that are environmentally and socially responsible and utilizing local resources when possible. Hint: We are a brewery. We serve beer. Choose responsibly.